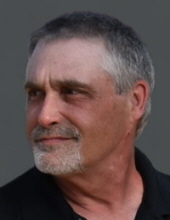 ALEXANDRIA, IN- Steven J. Cunningham, 55, passed away on Friday, March 29, 2019 at St. Vincent Anderson Regional Hospital following a brief illness. He was born in Colorado Springs, Colorado to Billy and Martha (Whitman) Cunningham and has lived in Madison County most of his lifetime. Steve graduated from Highland High School-Class of 1981. He retired from General Motors in 2014 after 15 years of employment. Steve was an avid softball player, both slow pitch and fast pitch. He was a member of the USSSA and ASA and was well known around Anderson softball programs. He also enjoyed bowling and golf. Former-in-laws-Leon and Mona Zachary of Alexandria and other extended family members of his former wife. Cremation has taken place. A public Celebration of Life Memorial will be announced in the very near future. Owens Funeral Home is honored to care for Steve and the Cunningham family. To send flowers or a remembrance gift to the family of Steven J. Cunningham, please visit our Tribute Store. "Email Address" would like to share the life celebration of Steven J. Cunningham. Click on the "link" to go to share a favorite memory or leave a condolence message for the family.